In Bonton, where single-parentage is the norm, poverty is epidemic, and 53% percent of parents dropped out of high school, “disengaged parents” are a major factor in low academic achievement and “failing schools.” We want to help change this! According to the latest research, “Students with two parents operating in supportive roles are 52% more likely to enjoy school and get straight A’s than students whose parents are disengaged with what’s going on at school.” Between 1996 and 2007, the percentage of “low-income” students typically held back a grade reached 25%, while the percentage of “non-poor” students remained low and relatively constant. This data reflects the unfortunate reality that successful adults are overwhelmingly found to emerge from supportive middle or upper class families. Recently, Shaun Grant, Director of BridgeBuilders KIDS, began working with JJ Rhodes Learning Center, the nearby DISD elementary school. At JJ Rhodes, parents are recognized as valued partners and encouraged to take advantage of the many resources aimed at helping their students succeed. 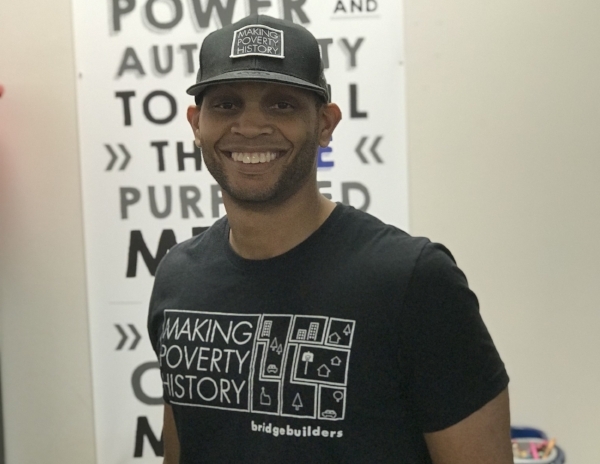 Unfortunately, many parents remain disengaged so Shaun is leveraging his relationships with parents in Bonton to connect them with vital services such as JJ Rhodes’ tutoring program. Last year, not one single family took advantage of the tutoring program at JJ Rhodes. This year, eight families have children utilizing this valued resource because parents are being empowered to advocate for their children thanks to Shaun and his team in the After-School Program.